This is a part of a series of portraits that I did for promotional uses. 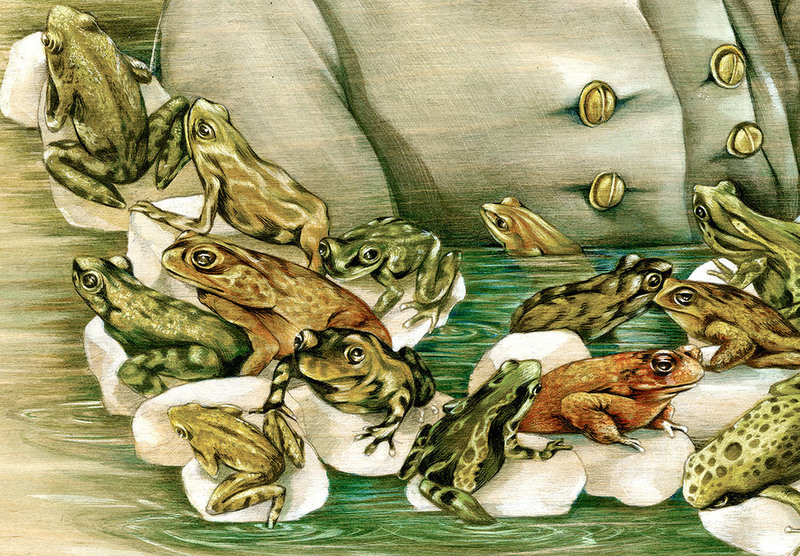 A bit about the frogs (since many ask): Stonewall Jackson was said to have been 'plagued' with many ailments- some speculate he had asperger syndrome, among other things. 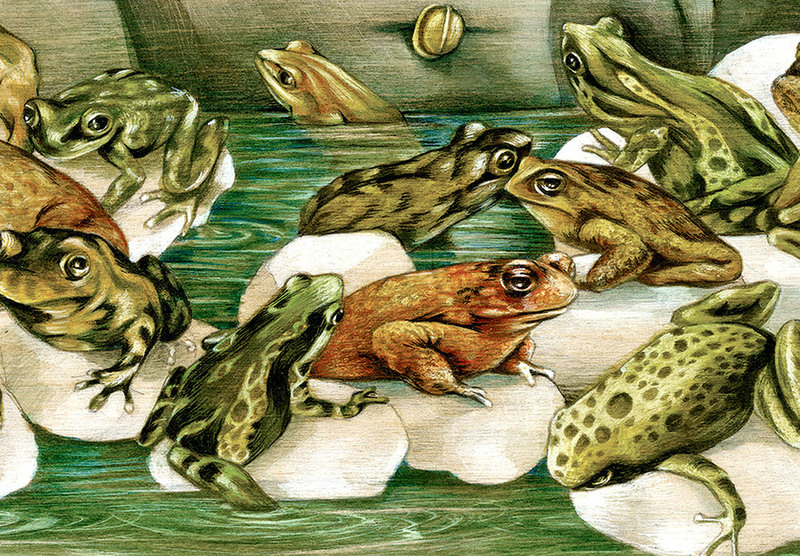 I thought, since he was a pretty religious man, and frogs are a common symbol for 'plague' in the Old Testament, I would use it to them creeping up onto Stonewall, almost like he's trapped by them.